The Berne Methodist Episcopal Church in the hamlet of Berne was organized in 1845. It first met in Jacob Miner Hochstrasser´s mill. A church building was later constructed just east of where the old fire house is now located. The church was active for around a half century, before dissolving around the turn of the 20th Century. There are no known records of the church baptisms and marriages. In 1907 the unused Methodist Church building was purchased for $500 by the nearby Reformed Church. Following repairs and redecoration, it served as the Reformed Church hall from 1908 until 1958, when the new Friendship House was dedicated. 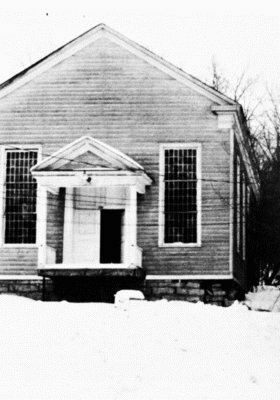 The old Methodist Church building was sold by the Reformed Church in 1959 and sat empty for many years, until it was fianlly torn down about 1965.